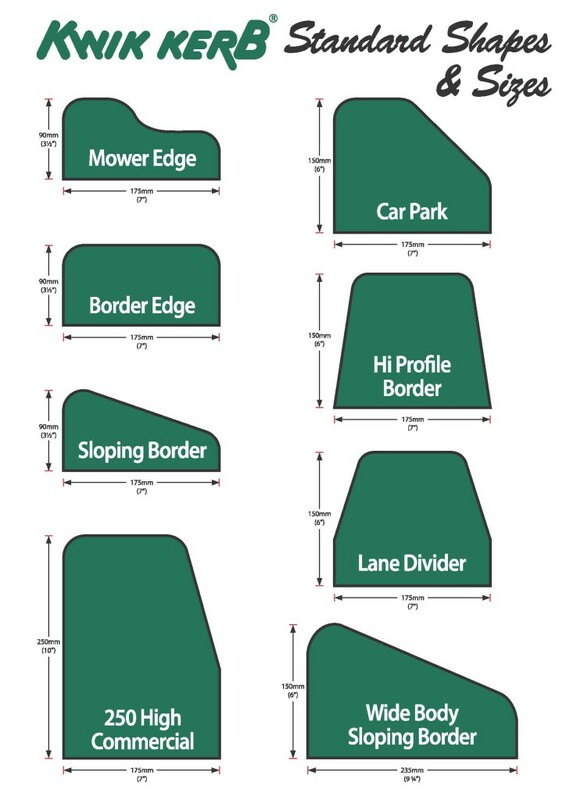 Kwik Kerb® has many advantages over other forms of garden edging. Kwik Kerb® comes in six standard shapes and two larger sizes. All have been designed for specific purposes and styles. Fill in the contact form to speak with your Certified Kwik Kerb® Operator to select the best option for your kerbing solution. Kwik Kerb® has a great range of colour you can choose from called Kwik Kolour®. With eight shades of natural earth colours that have proven to be the most popular for over 25 years you are sure to find what you want. Multiple colours can be used to create customisable styles for your kerbing, fill in the contact form to speak with your local your Certified Kwik Kerb® Operator to discuss what would be suit your home. What style you want is completely up to you with Kwik Kerb®. Kwik Kerb® has two main finishing styles Eurostyle® and Eurobrick® and within these are any number of variations. Eurostyle® Slate Impression edging is hand finished with detailed textures that mimic the desirable look of real slate. Eurostyle® Rustic Wood edging like Slate Impression is hand finished and made to look like wood sleepers. However, unlike wood sleepers you can lay Kwik Kerb in any shape you desire. Eurobrick® authentic bricks and mortar styled edging. A patented process exclusive to Kwik Kerb® Business Owners, Eurobrick® is a great way to finish your kerbing and allows you to design your own paver look in your garden. Any number of colours or combination of colours can be used to give your kerb the style you want. So don’t wait, fill in the contact form to have a local operator contact you to set up a time for a free no obligation quote.